What will the Wellbeing Centre look like? What will the new PDSA Pet Wellbeing Centre look like? Manchester's new Pet Wellbeing Centre will be built to the same design as our Oldbury PDSA Pet Hospital in Birmingham, which opened in 2015. The Oldbury Hospital was the first of a new futureproofed design, purpose-built to meet the needs of pets and their owners. Manchester's new Centre will be built with the same vision, but will contain our first ever dedicated 'wellbeing' facilities to help the local community provide everything their pets need to be happy and healthy. 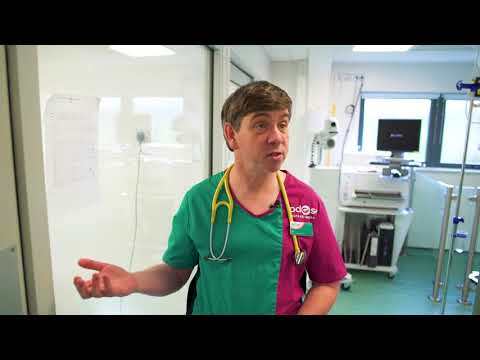 Take a tour around with our friendly vet Ian below. Our vets and nurses can only help the pets – and people – who come through our doors. Manchester is home to some of the UK's poorest communities; those most in need of our help, with thousands of pet owners in the area struggling to afford veterinary care. There are over 70,000 pet owners within the Manchester area alone who are eligible for PDSA help but don't currently use our service. So in order to help as many pets and people as possible, we must move to where the need is greatest. Our new location in Gorton is where we need to be to change the most lives and bring our vets closer to more of Manchester's most vulnerable pets. By helping us put the new Manchester PDSA Pet Wellbeing Centre on the map you'll be bringing a lifeline to those who need us most – and helping stop pets in Manchester suffering in silence. Find out how your donations will be spent and see a breakdown of the costs involved in building our new Manchester Pet Wellbeing Centre. Help us stock up with vital emergency kit so we can save lives as soon as our doors open. Join our emailing list and stay informed about the future of Manchester's most vulnerable pets and to be kept up-to-date with appeal progress.